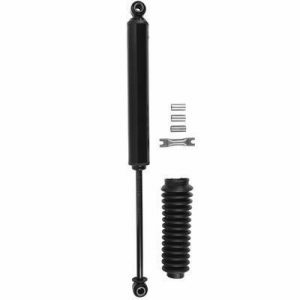 cause it to handle differently, on and off-road, than it did from the factory. 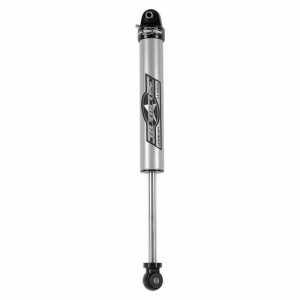 The new Rubicon Express shocks have a slim, black body and include a black urethane shock boot and all necessary mounting hardware. 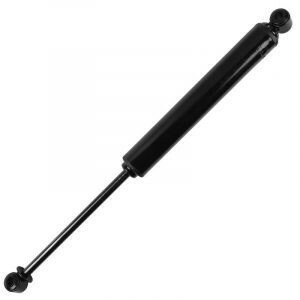 They are supplied in a 4-color, high gloss box ready for retail placement. 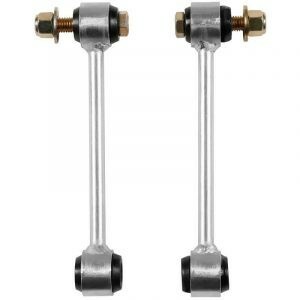 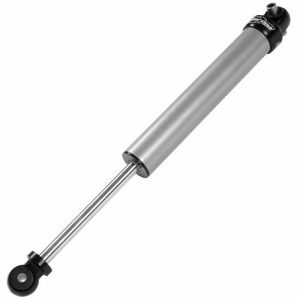 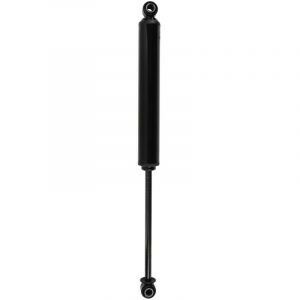 These new twin tube shocks are a running replacement for the prior version of twin tube shocks. 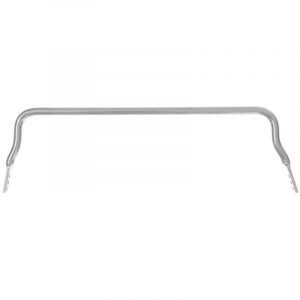 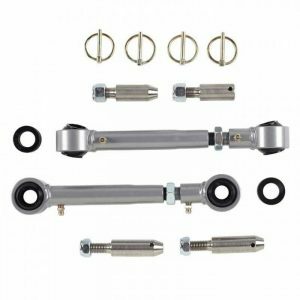 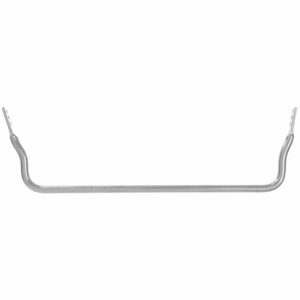 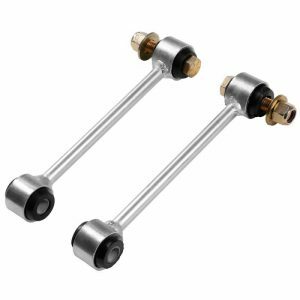 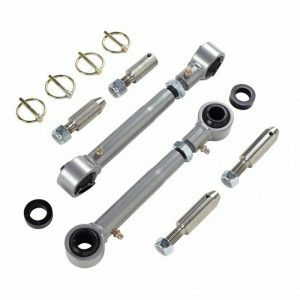 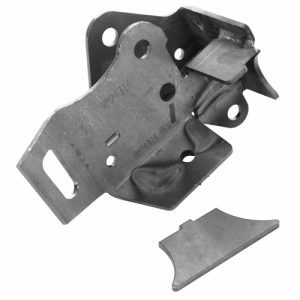 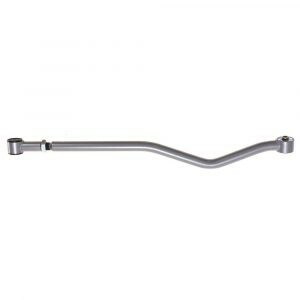 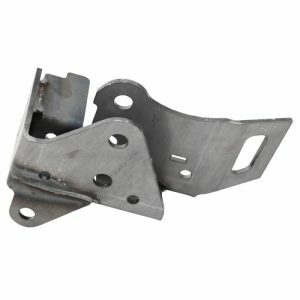 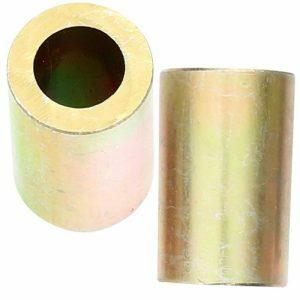 Greasable front spring shackle kit for YJ 1″ over stock length. 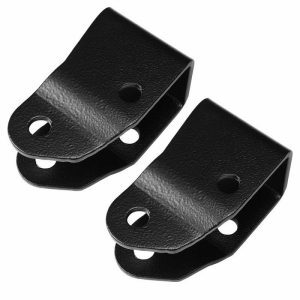 Our greasable shackles feature laser cut 1/4″ side plates, black polyurethane bushings, greasable bolts and clear zinc plating. 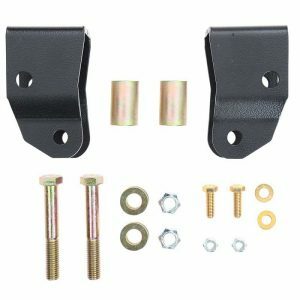 Front shackles include cross bar for extra stability. 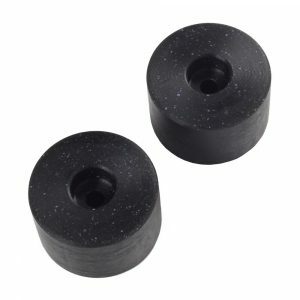 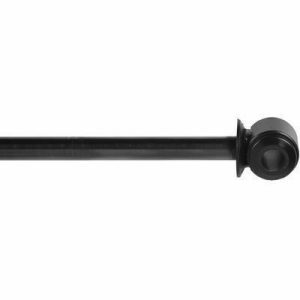 Extended bump stops fits inside front coil to provide 2″-3” of extra limitation for larger tires. 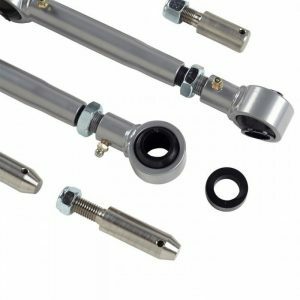 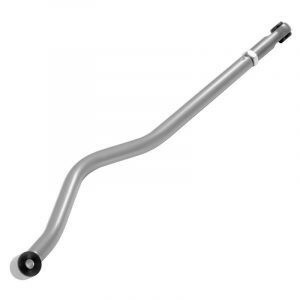 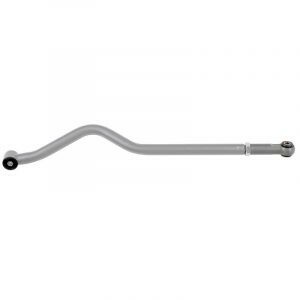 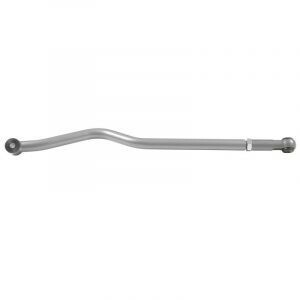 Correct alignment and handling problems on lifted vehicles with our front adjustable chromoly track bars. 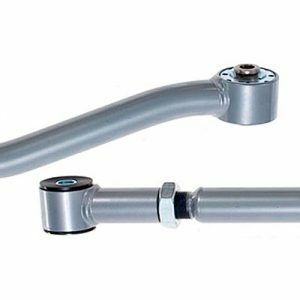 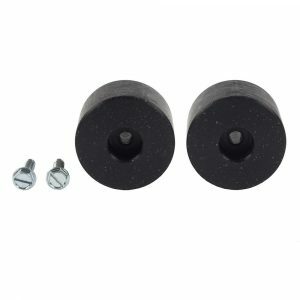 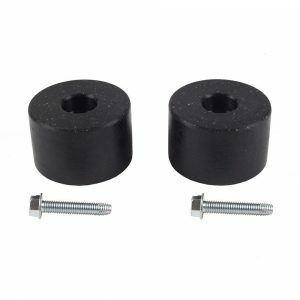 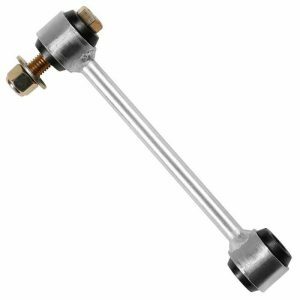 Allows for more wheel travel than the stock unit and features a replaceable rod end for easier future maintenance.